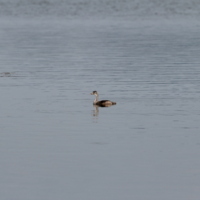 This is an adult great crested grebe (Podiceps cristatus), with those head and neck decorations it is unmistakable. It feeds mostly on fish. Their mating display is impressive. 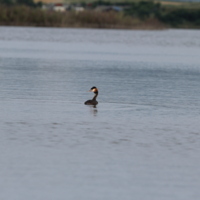 The young grebes are often carried on the adult's back. 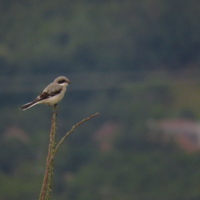 Great Grey Shrike (Lanius excubitor) is the largest of the European shrikes. 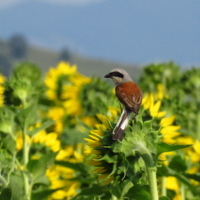 It is a carnivorous bird, mostly eats large invertebrates, but also small mammales and birds to. It is often stores his prey impaled it on a thorn. 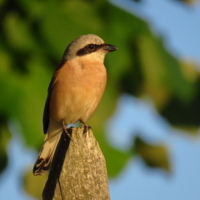 The red-backed shrike (Lanius collurio) is a carnivorous passerine bird, one of the protected, Nature 2000 species. His scientific name reffers to his behavior: lanius means butcher, This bird is abundant in Europe. In winters it migrates to Africa. 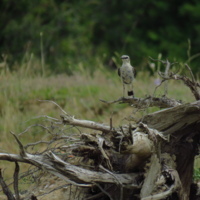 Northern Wheatear (Oenanthe oenanthe) is a migratory insectivorous species. 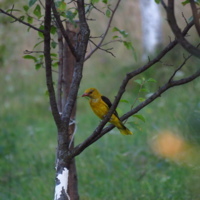 In autumn it migrates to Sub-Saharan Africa, making one of the longest journeys of any small bird. 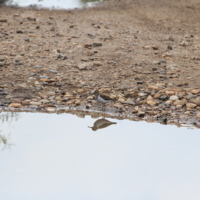 Grey Wagtail (Motacilla cinerea) is a common species in Europe. 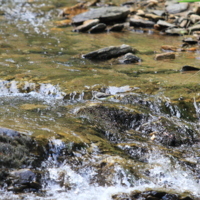 In breeding time it occurs near running water. 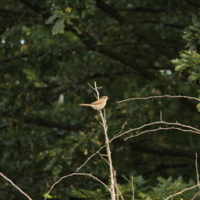 Their nest is built by both male an female adult, and it is placed near the water, between stones and roots.